Terra and Andy are flat out the nicest people you will ever meet. 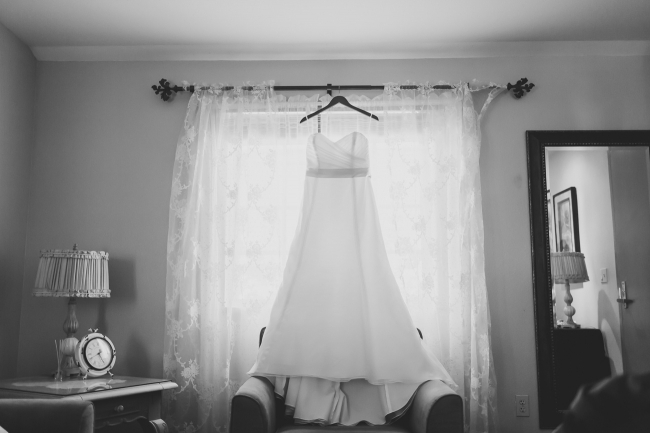 They are both so thoughtful and easy going, I didn’t want their beautiful wedding at Wiens Family Cellars in Temecula, CA to end! 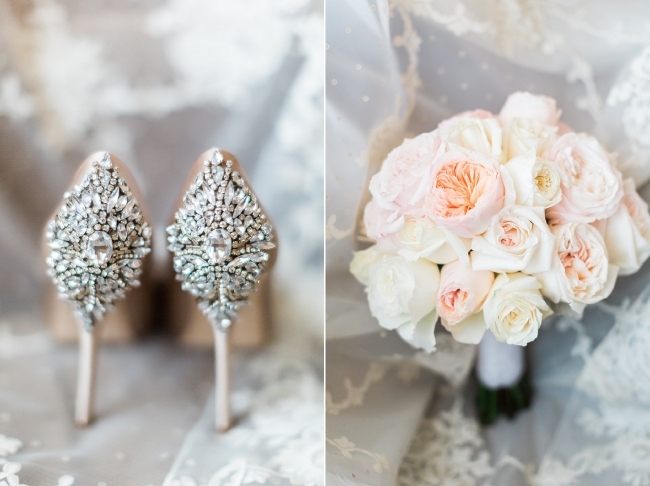 Wiens Family Cellars was a perfect place to hold their wedding. There are beautiful vineyards surrounding the venue, several gorgeous ceremony locations, a dazzling reception room and of course lots of wine! 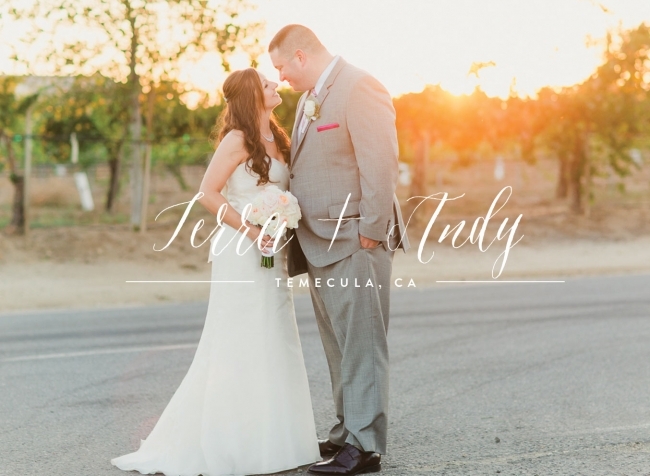 They chose this winery for their nuptials because wine tasting in Temecula is one of their favorite things to do together and the whole city holds a special place in their heart. I’m still dreaming about their breathtaking sunset portraits, but I hope you enjoy just a few of my favorites from their day! See that gorgeous big bow on the back?! Terra, you are beyond gorgeous!!!! I LOVE this next one of Andy! Check out these awesome letter “C’s made out of painted wine corks!! Terra made the backdrop for their ceremony which included ribbon and burlap flowers! And it looks so good! Such a pretty ceremony space! I was also in love with Terra and Andy’s wedding favor! A bottle opener that looks like an antique key!! Their reception room looked so good! Huge thank you to Kristine for helping me at Terra + Andy’s wedding!